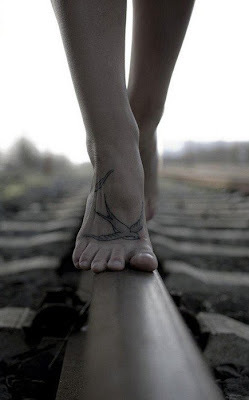 None of my tattoos as terribly obvious and every single one has a connection to some one I love dearly so I never have regrets about getting them. 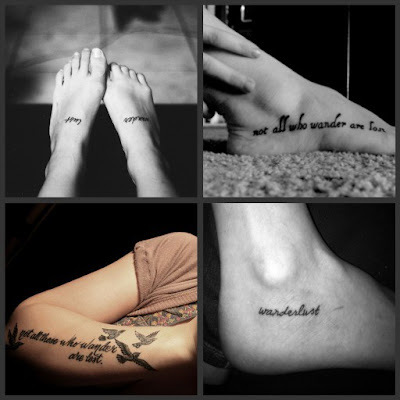 I really want one last one to remind me of two of my very special people that currently have not marked my skin. I want my kids names and dates of birth along side my husbands (who I already have in another form) and our wedding date. I have wanted it for years and just not got to it but I am trying to decide on a spot.. 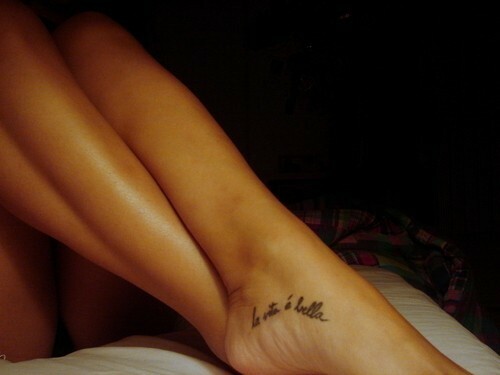 I like the foot in a dark grey ink or possibly my other inner wrist in white ink.. Inside? Outside? Top? White or Dark? What do you think? We had a wonderful Saturday Brunch at ours this weekend and I can't remember how we got there but we ended up on the ink chat.. Oh yeah I remember now..
Kitty decided to texta herself like a Maori Mask, yes she is her mothers daughter, lol. From there, her buddy Josh of course did the same... His looked a little more like a spider web and his Mum said " as long as it is not permanent" (they were washable markers...must go find pics to post before I publish this). You see she doesn't like tattoos, her husband wants one and... well we won't go there will we Mel... I have a few as does my boy so of course the discussion started again of what will we do when we are wrinkly etc. My answer is always the same "laser", who knows if it will stand up when I am wrinkly and old but 'll juts live in denial until then because a girl just can... can't she?!. What do you think? do you have lots? do you hate them? my girlfriend does and that is cool by me because she still loves me and really that is all that counts..
Before I go here is the pic of what got it all started (oh and it went A LOT further) the chat has firmly reminded me how much I want my new one.... Mothers Day pressie for me?.. I think it might just have to be.. 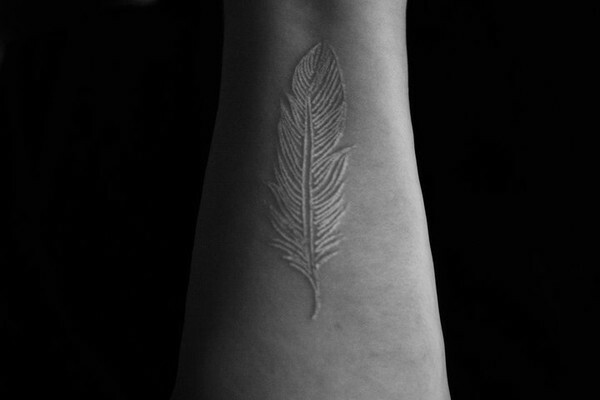 I'm not a fan of tats in general however when I see one tastefully applied I often wonder.....I have never seen a white ink tatoo before and thought that image was so beautiful; reflecting the innocence and purity of children. If my daughter reads this though I will deny everything!!!! LOL! I think they're all gorgeous. The feather is unlike any tatt I've seen though!